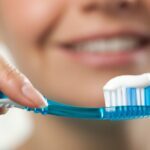 When it comes to avoiding serious oral health problems, preservation of healthy tooth structure is key. If the outer layer of the tooth (the enamel) becomes weak or damaged, the center of the tooth becomes vulnerable to infection, which can lead to advanced dental complications and the need for restorative dentistry treatments to rebuild tooth structure. While many patients understand the need to protect the teeth against the harmful effects of bacteria, Dr. Craig S. Kohler wants patients to be more aware of another threat to tooth structure – acid erosion. For many of our Chicago patients, tooth enamel erosion has contributed to weakened teeth, oral pain, increased tooth sensitivity, and the onset of advanced oral health problems. Dr. Kohler can treat all stages of tooth enamel erosion so that these dental problems can be treated, or, ideally, avoided all together. Tooth enamel erosion is more commonly referred to as acid erosion. Acid erosion is a problem that develops when patients have an overly acidic pH balance in the mouth. This is often due to the frequent consumption of acidic foods and beverages, such as sodas, wine, citric fruit, juices, and coffee. Acid erosion can also be caused by regular exposure to gastric acid, which is why tooth enamel erosion is often a problem for patients who suffer from digestive problems (such as gastric reflux) or eating disorders (such as bulimia). Limiting the intake of acidic foods and beverages and practicing good oral hygiene habits is the best way to maintain an even pH balance in the mouth and avoid the development of acid erosion. 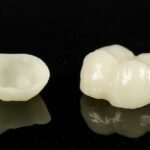 The specific treatment that is used for each patient will depend on how advanced the tooth erosion is, the amount of tooth structure that has been lost, and the location of the damaged tooth. While it is always Dr. Kohler’s goal to preserve natural tooth structure, in cases of severe tooth damage it may be necessary to extract the tooth. 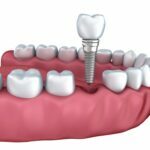 If this is the case, Dr. Kohler will discuss tooth replacement treatment options, such as dental bridges or dental implants, so that the structure and beauty of the smile will not be compromised. If you are experiencing tooth pain or sensitivity, it may be a sign of acid erosion, tooth decay, or other oral health problems. It is important to treat these problems as soon as possible so that more serious complications can be avoided. Schedule an appointment with Dr. Craig S. Kohler at your earliest convenience to give your smile the quality care that it deserves. We look forward to hearing from you!